Aimed at serving business travelers to Wuxi, this superb hotel provides a broad array of facilities for guests to enjoy a comfortable, convenient and memorable stay. Wuxi railway station is 7 km from the hotel and Wuxi Shuofang International Airport is 21 km. 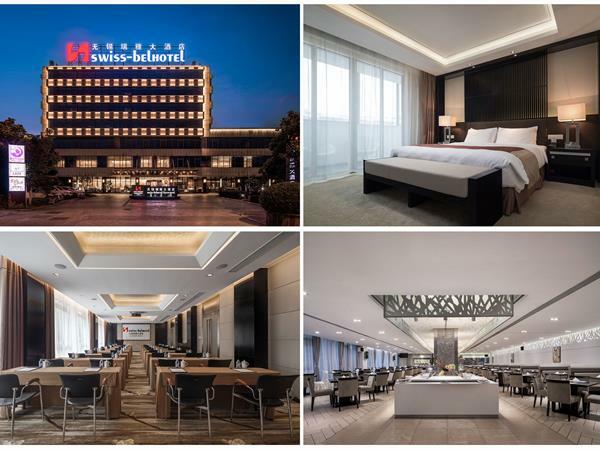 Swiss-Belhotel Liyuan Wuxi is the ideal choice for business visitors to the Wuxi Liyuan Economic Development Zone, one of China's leading centres for industrial design and development, Information Technology, electronics and precision machinery manufacturing. From the hotel, guests can enjoy easy access to all the many attractions that the historic and enchanting city of Wuxi and the surrounding countryside has to offer. Swiss-Belhotel Liyuan Wuxi boasts 267 well-appointed rooms and suites, most with balcony. Each guestroom features air conditioning, 39"-42" LED TV, mini-bar, personal safety deposit box, broadband Internet access, electronic key lock, hair dryer, shower, bathtub, and iron and ironing board in suites. For a delightful culinary experience, the hotel offers superb Chinese and western cuisines in two fine restaurants. To meet friends and business colleagues or to simply relax and enjoy your favorite drinks, the hotel's comfortable lounge and bar is the perfect spot. To support your business activities in Wuxi, three fully equipped meeting rooms with state-of-the-art facilities are available for board meetings, seminars, product launches and other business or private events. For a delightful culinary experience in Liyuan Wuxi, the hotel offers a variety of delicious Chinese and western dishes in our two restaurants, and a wide range of beverages and tasty snacks in our lounge bar. Swiss-Belhotel Liyuan Wuxi offer a range of faclities including restaurants, fitness centre and spa, hair salon, business centre and several meeting rooms. A famous city with a history of 3,000 years, Wuxi lies in the south-eastern part of Jiangsu Province beside Taihu Lake and is part of the economically developed Yangtze River Delta. Wuxi is 128 km from Shanghai. Within the Wuxi region are the Huishan, Xishan, Junzhangshan, Majishan and Tongguanshan mountains.